Spirit Storm Male Football Player Awards. Available in 4 sizes, 140mm, 150mm, 195mm and 215mm high. 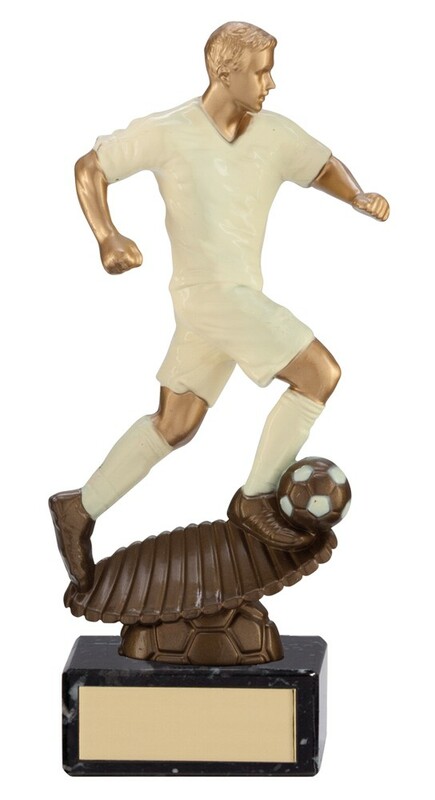 Gold football figure with white and antique gold detail mounted onto a heavy black marble base. 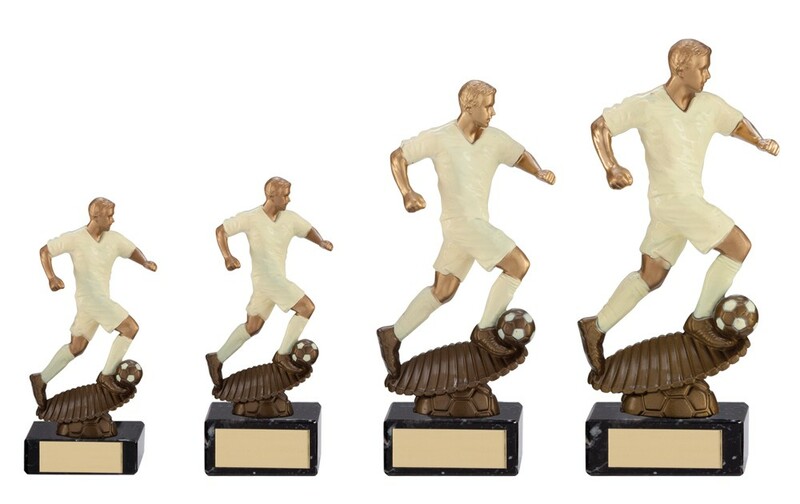 Great football trophies for a great price.